and another fro my list. there are some fantastic designs here. 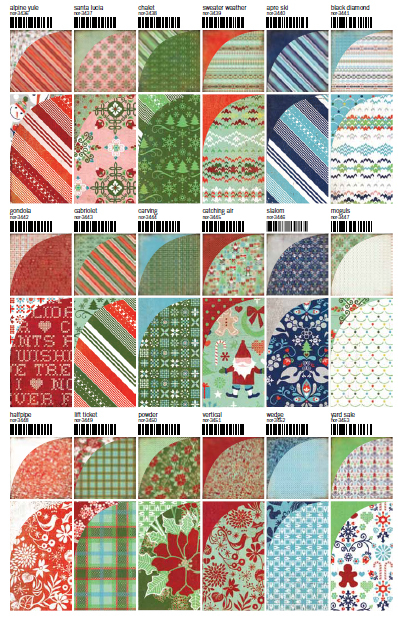 Trust BG to bring out great Christmas papers - can't wait! Appreciate the incorporation of the blues. oh so not my favorite -- I'm sure I could make use of it.. but I was hoping for much more traditional! Some cute patterns...will have to see this IRL. This set, I am not so sure about. I might use one of two of the pieces. Not my favorite, but others would probably love it. OMG, this is my line for all of my Christmas photos this year, AHmazing! !